Students: below is the official entry form for the 2019 Gerry Mulligan Essay Contest. 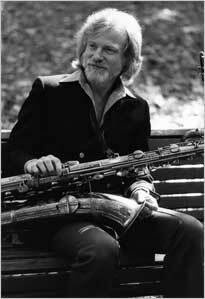 In 250 words or less, please describe how Gerry Mulligan helped popularize the use of the baritone saxophone as a solo instrument and how, as a musician, you have followed his lead. Prizes of $500, $250 and $100 will be awarded and the winning essays will be published on the official Gerry Mulligan website. Eligibility and Requirements: The contest is open to high school students in the United States with a valid school email address. Contest deadline: April 30, 2019 at 11:59pm PDT. Click here for Contest Rules. One essay submission per student. Entries over 250 words will not be considered. In 250 words or less describe how Gerry Mulligan helped popularize the use of the baritone saxophone as a solo instrument and how, as a musician, you have followed his lead. Please include the hashtag #gerrysjazzlovers in your essay.